Votive candles are small candles, originally intended to be burnt as a votive offering in a religious ceremony. 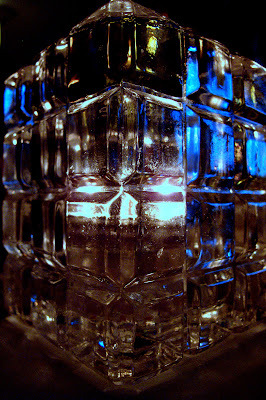 This crystal votive holder was on our restaurant table where they have now become commonplace. Canon G10, ISO 200, 1/13sec at f/3.5, 22mm equivalent focal length in macro mode. Fired using the self timer to avoid camera shake.